A new layout for the start of the elections! 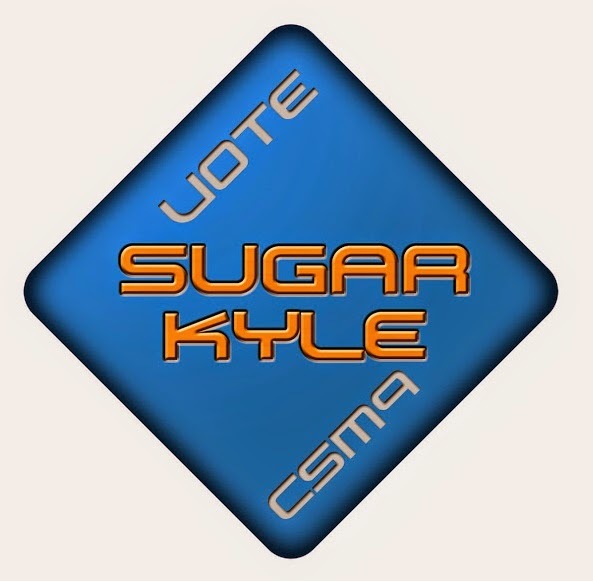 Starting Tuesday and for the following two weeks the Vote Sugar Kyle CSM9 button will be in the upper corner of each post with a link to vote. I dislike being spammy and pushy but I am going to ask regular readers to bear with me for this time period. I spent a lot of April 3rd refreshing twitter and the forum and the community site looking for the announcement of the official candidate list. Then April 3rd left and there was no candidate list announced. There were different reactions and different ways to handle it. I decided to go back to working on Votematch. The actual selection is not yet live. I checked my application a half dozen times over the week and double checked that my passport went to the right spot. Tired of worrying, I decided to turn my energy in a bit more productive direction. Niden’s article went live on his Low Life column at Crossing Zebras. Seeing myself quoted is always strange. I think, “I wrote that!” Trying to get the word out to players about the election is an important topic for many. Showing some of the reasons why we have low sec as an important topic will hopefully help people understand our motivations. My full response to his question can be found here. The candidate process requires attention. As an independent wildcard, I have to do everything I can to show myself to people. I have to ask for those votes and I do. But, I cannot relax and assume that people will find me as I hope they will. That is why my time has gone into my forum posts, my mails, conversations, and player outreach projects like Votematch. Votematch is an interesting, player built, multiple choice candidate filtering tool. When it opened up I sat down and spent my evenings working through the questions. A multiple choice selection is a very hard way to represent my views on many topics. That meant I had to take the additional time to fill in explanations for almost everything I selected. A lot of the candidate process is letting people see how I think and handle things. The podcasts cover a lot of interesting basics about how well I am able to communicate when speaking to someone. I’ve had conversations with people, Q and A in my chatroom, and visited teamspeak servers when invited so that people could get to know me. I’ve written blog posts for some and answered the questions given to me by others. Votematch is another step in that process and I hope that my explanations will make it clear why I selected and ranked things as I did. Saying that I am awesome is not exactly my normal approach. Yet, I need to do that. I have tried to do that. I have spent almost two months attempting to convince people that I am worth their time and energy and asking for them to put their trust in me. I am a communicator and I need to give myself more credit for that. There is a distinct worry that communication will lapse when CSM9 takes office. If I make office these weekly updates of running for office will turn into weekly updates of being in office. We’re at the final days. I’ve appreciated the words of support and encouragement that I have received over the last seven weeks. Hang in there with me. On Tuesday it will be time to cast those votes. Think of me for your #1 pick. Break out your alt accounts and vote with them as well. Being on recommendation lists is fantastic and flattering but it will be #1 votes that push me into office. And that ends week seven and onto week eight! You've got my sword, axe, and bow. May I also have your dark chocolate, marshmallows, and caramel? At least we will have a good celebration desert!